White mould cheese typically refers to soft cheeses such as Brie or Camembert. 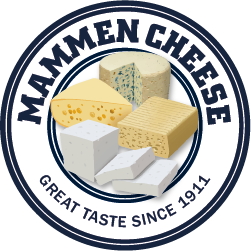 These cheeses mature within 45-90 days. White mould cheeses mature from the surface and into the center of the cheese. The white mould culture can be added either in the milk or sprayed on the surface at a later stage in the production process. In both production methods the white mould shapes a soft white surface on the cheese that continues to help developing the maturation of the cheese. Brie 45-60%, stabilized industrial product, typical 500g, 1kg or 3kg – pasteurized milk. Camembert 45%, stabilized industrial product – pasteurized milk from cow or goat. Brie de Maux, the origin from north vest France made of unpasteurized milk- PDO(AOC) protected. Camembert au lait Cru, the origin from Normandie 250 g made of unpasteurized milk- PDO(AOC) protected. Brie is a soft cow’s milk cheese. It is pale in color with a slight grayish tinge under a rind of white mould. The whitish mouldy rind is typically eaten, the flavor quality of which depends largely upon the ingredients used and its manufacturing environment and methods. 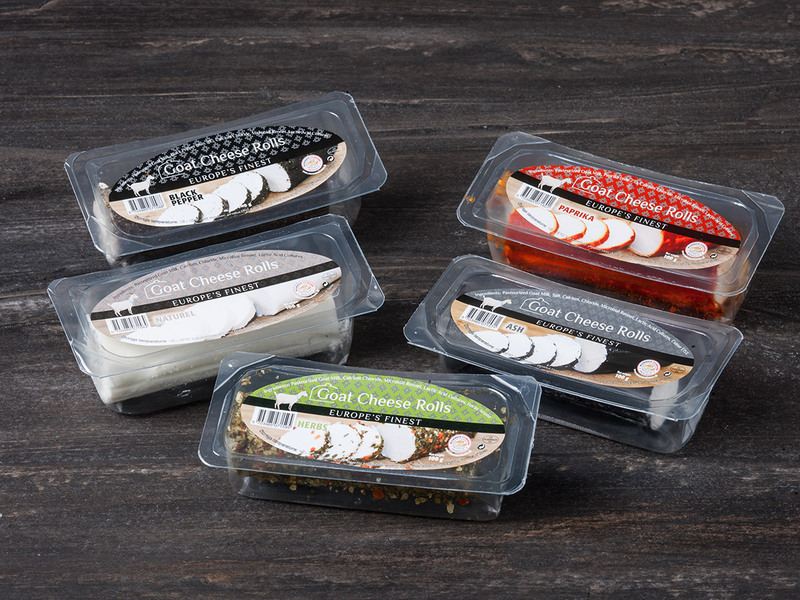 There are now many varieties of Brie made all over the world, including plain Brie, herbed varieties, double and triple Brie and versions of Brie made with other types of milk, pasteurized or un pasteurized. Despite te variety of Bries, only two types are AOC protected: Brie de Meaux and Brie de Melun, produced from raw cow’s milk under certain conditions in a specific geographic area. Camembert is a soft cheese, similar to Brie and also made from cow’s milk. However, there are differences beyond the simple geographical fact that Brie originates from the Île-de-France and Camembert from Normandy. 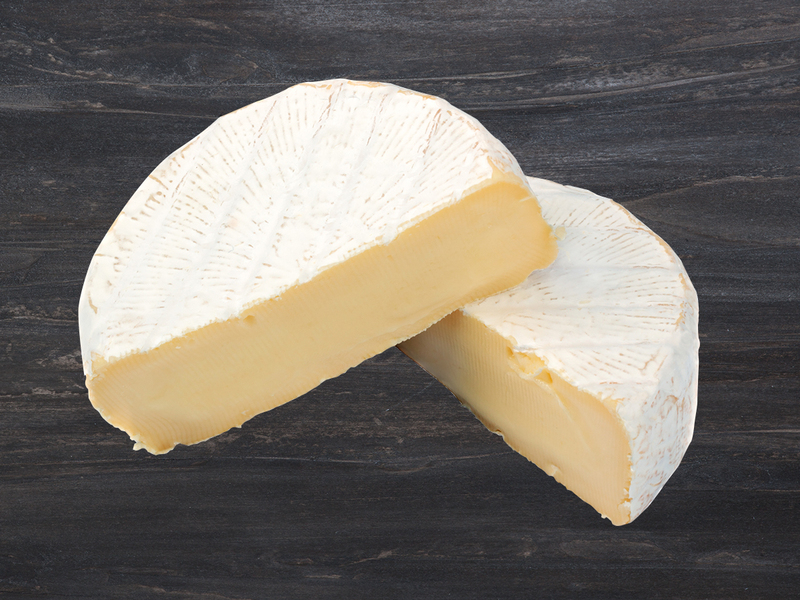 Brie is produced in large wheels and therefore ripens differently: when sold it typically has been cut from a wheel, and therefore its side is not covered by the rind. Camembert on the other hand, is ripened as a small round cheese and sold as such, so it’s fully covered by the rind. This changes the ratio between the rind and the inner part of the cheese, brie also contains more fat than Camembert. 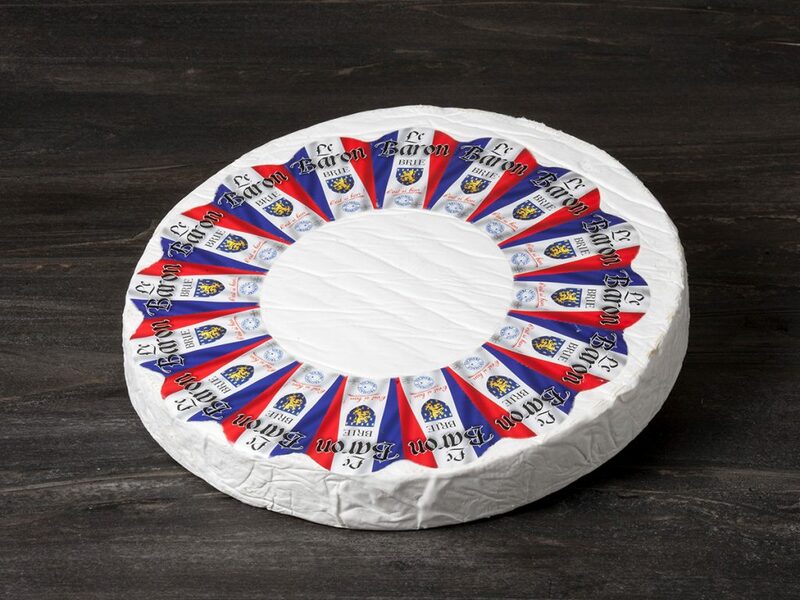 AOC protected Camembert is produced with raw cow’s milk from a specific geographical region, while industrial stabilized Camembert is produced in many shapes and varieties and can also be made from different milk types. Goat cheese has been made for thousands of years, and was probably one of the earliest made dairy products. In the simplest form, goat cheese is made by allowing raw milk to naturally curdle, and then draining and pressing the curds. Cow’s milk and goat’s milk have similar overall fat contents. However, the higher proportion of medium-chain fatty acids such as caproic, caprylic and capric acid in goat’s milk contributes to the characteristic tart flavor of goat’s milk cheese. The traditional Chevre Buche – “Goat log” is one of the most well-known goat cheeses around the world. It is produced in many different shapes and sizes with or without ripening – white mould surface, natural with mould/ash, natural fresh without mould surface (unripened) or as unripened- flavored with different spices. Typical shape 200g – 1kg, single packed to protect the mould surface or vacuum packed when it’s produced “fresh”. We supply a wide variety of types, brands and sizes. Please contact us for further details.